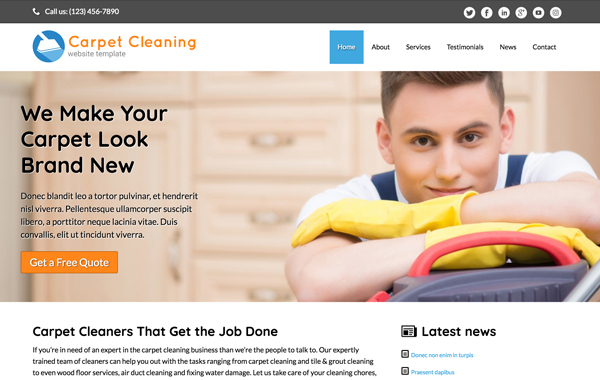 Try out the Carpet Cleaning WordPress Theme for yourself. Not only does it have a great-looking design. Our framework ensures easy maintenance so you'll can spend as much time as possible doing what you're paid for: being a carpet cleaner. 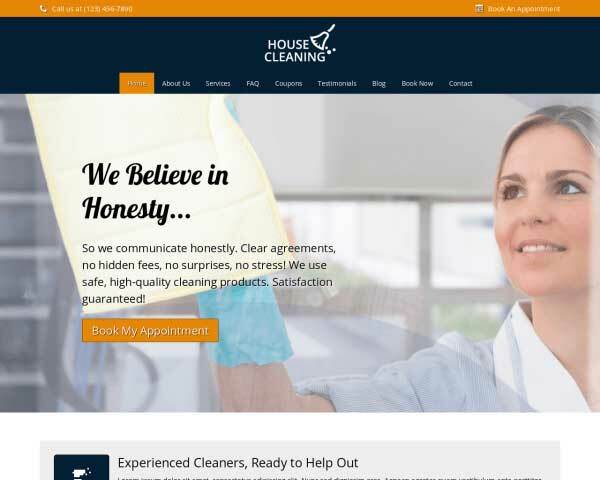 Reach a whole new customer base with your message of friendly, efficient service when you build a professional website with the Carpet Cleaning WordPress Theme. All that's left to do is upload your own photos and replace the demo text to have a complete carpet cleaning website online today. Truly a premium website template, your new site will be simple to customize and mobile-friendly without any extra coding or plugins. 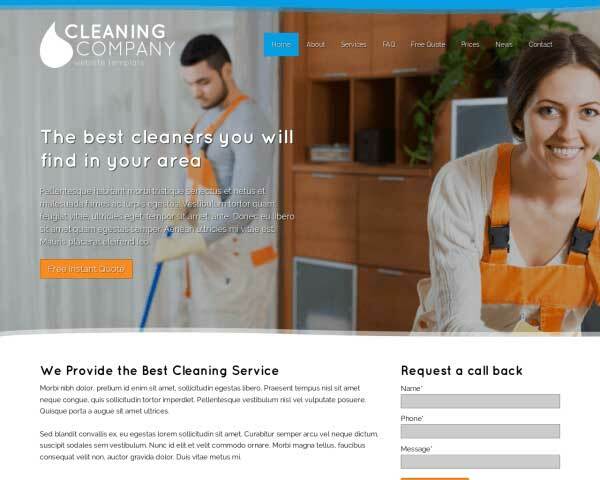 Start with the Carpet Cleaning WordPress Theme and most of the work is already done for you, so you can get back to business and take your business to the next level. While a contact form is the staple of any website, it is often the most neglected page. 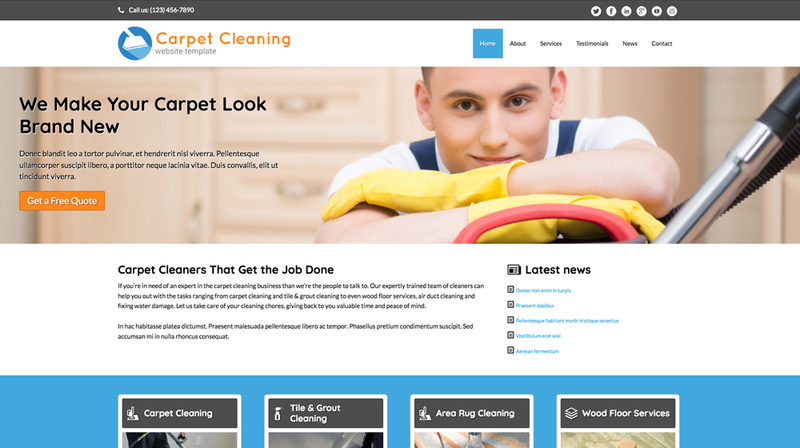 Not so for the Carpet Cleaning WordPress Theme. It goes beyond the standard contact page functionality. 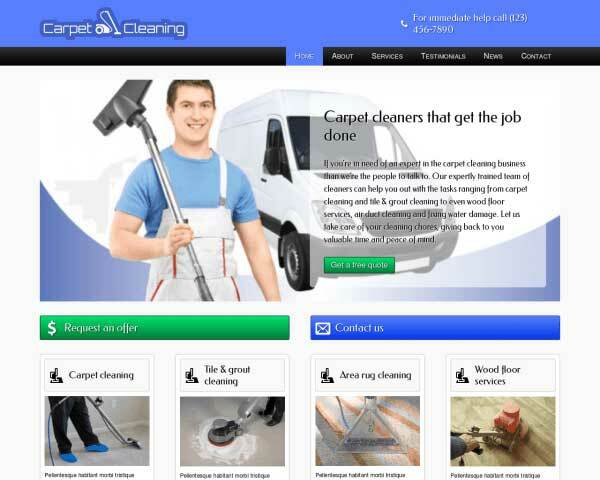 This Carpet Cleaning WordPress Theme designed specifically for cleaning specialists. It includes all likely features your business needs and ensures you are up and running in no-time. 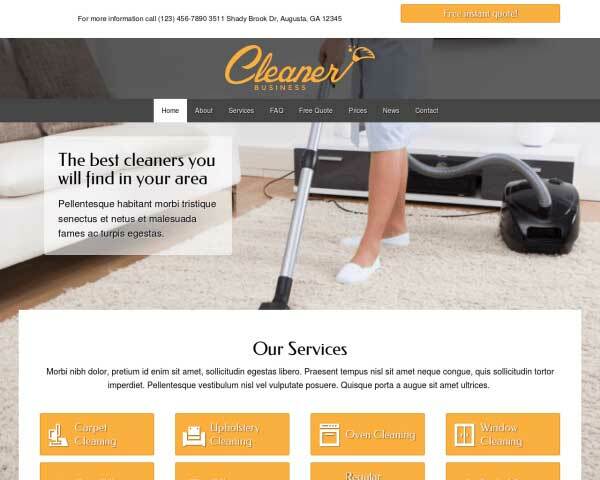 Offer clients all the information they need on the attractive service detail pages of the Carpet Cleaning WordPress Theme. 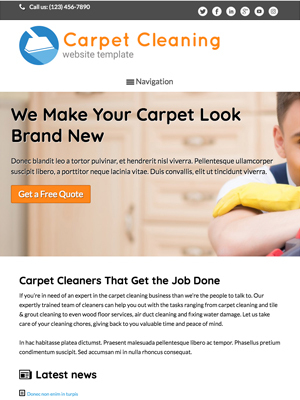 This premium Carpet Cleaning WordPress Theme features a neat, clean design that can handle all the information and features you'll need in a professional website. The best way to attract new clients with the Carpet Cleaning WordPress Theme is to do let others do the talking for you. We provide pre-configured pages for you to fill in with your own clients' success stories. 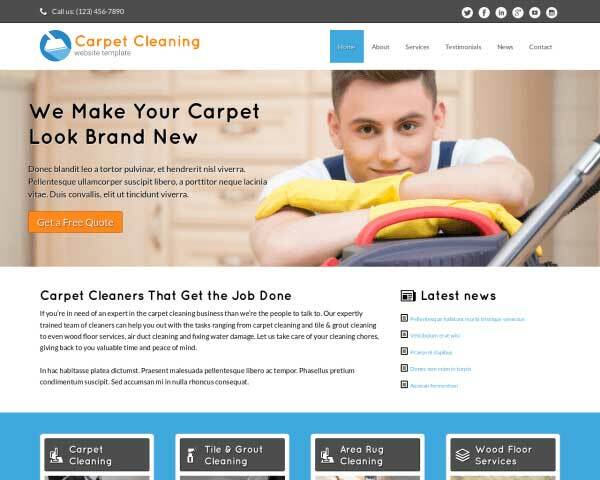 The homepage of the Carpet Cleaning WordPress Theme features a helpful overview with links to each of your services, offering clients a quick way to find out what you can do for them. 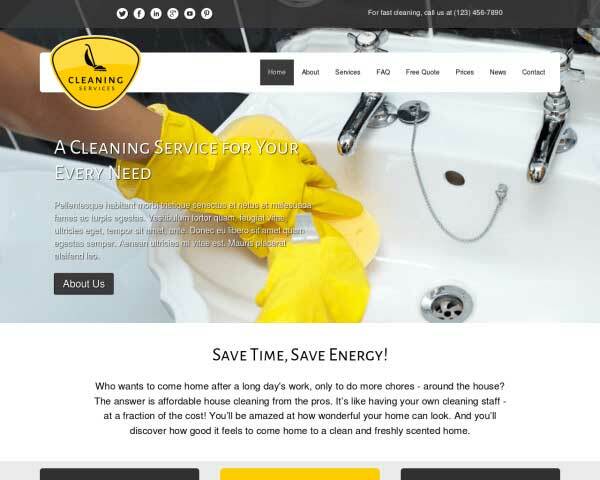 Mobile is the way to go and the Responsive Carpet Cleaning WordPress Theme makes your site easy for visitors to navigate to via their favorite mobile device. Our responsive WordPress theme automatically adjusts to any screen size. Not only that but you never have to worry about using a plug-in to make manual adjustments since this feature is baked right in. No coding needed!